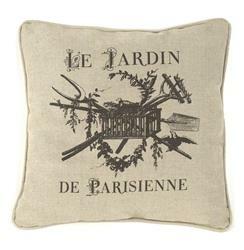 If you can’t make it to Paris, bring Paris and its gardens to you with this printed linen throw pillow. Its pastoral design transports the beauty of rustic France to your living space. Relax into this pillow while you book your next flight!